Writing about loss. The British Pavilion at the Venice Biennale 2018 is writing about a lost architectural job. A project not won. Like being shortlisted for the NZ Pavilion at the Venice Biennale in 2016. So like any’ good’ loser we wait and see our victor achieves. It’s The Game of Architecture. We pitched Brexit; the winner pitched Brexit. So we had the guessed rightly that Brexit – Britain leaving Europe – was the only theme in town for The British Pavilion at the Venice Biennale. We suggested a game of doors, the winner went island. Hmm, I am an islander, I come from Motiti Island with a population of 22. ‘Islands’ are a pretty seductive theme – see the RA Oceania exhibition in 2018 – so did I miss a trick? So I saw the some press images of the Venice Biennale 2018 (a zoo I had thought when I last visited in 2016) and naturally looked out for Britains’ entry. Or rather exit. Yes it was void: the pavilion had nothing in it. A luxury I thought. When I saw the roof, it made re-question the luxury of architecture. 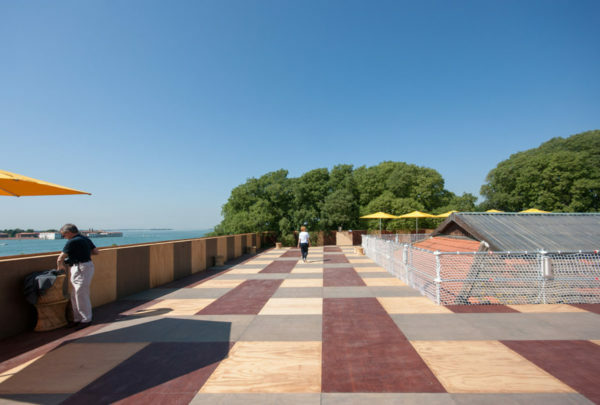 Britain is supposedly a rich nation…yet the roof treatment of the British Pavilion 2018 could have matched its ideological ambitions by being more physically ambitious. 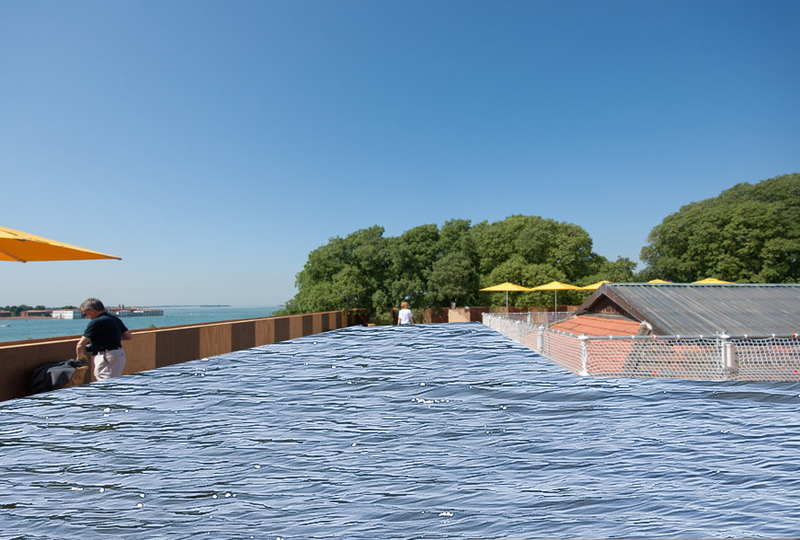 Not just another sun deck but say a proper pool – the one that Australia dreamed about in 2016 but paid for and delivered by NZ in 2018. In return NZ could exhibit downstairs, in 2018? After all, the last time NZ exhibited at the Biennale di Venezia it cost the NZ tax payer $NZ3m or £1.5M. Britain would have accepted say £500K or Biennale rental to help raise their rooftop ambitions beyond tartan ply deck into pooling the crowds… WHAT_architecture thus drank the sour grape Veneto and dreamt of another, more enhanced British pavilion/ whereby the mother country partnered one its colonies to deliver a better project.